Do you know the tax implications of your life insurance policy? 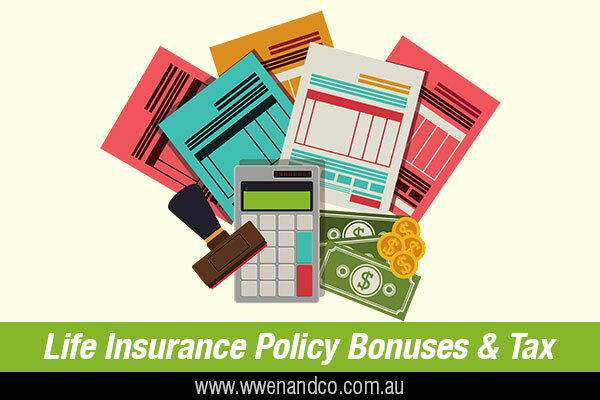 When you have held a life insurance policy for 10 years or longer, reversionary bonuses received on that policy are generally tax-free. For policies held for less than 10 years, for taxation purposes stipulated amounts are included in your assessable income, and a tax offset is available. As a result of serious financial difficulties provided the policy was not taken out with a plan to mature or be terminated within 10 years. You cannot claim losses on the policy as a deduction. NOTE: ATO rulings on this state that fixed premiums are not taken to have increased just because they are paid in advance or arrears. If a policy started on 1 June 2010, and the policy owner paid a $500 premium in 2012, 2013 and 2014 respectively, and an $800 premium in 2015, the deemed date of commencement would become 1 June 2015. Another ATO determination states that if an income bond is converted to a life insurance policy, the income bond is terminated and the commencement date cannot be carried over to the insurance policy.